Ionic is a full-service open-source SDK for hybrid mobile app development. Built on top of AngularJS and Apache Cordova, Ionic renders tools and services the hybrid mobile application development using Web technologies like HTML5, CSS, and Sass. Mobile apps can be developed using these Web technologies and then shared through the installed native app stores on devices by utilizing the potential of Cordova. Ionic is an open-source hybrid mobile application Software Development Kit (SDK). The Ionic framework utilizes advanced technologies like SaaS(Software as a Service), AngularJS, and HTML5. To add advanced simplicity in the mobile app development process, Ionic offers features such as PhoneGap and Cordova plugins. Cordova plugin involves wrapping CSS/HTML/JS into an app to avail the native functionality of the mobile devices. Ionic app development framework enables application testing together with the process of development. Hence, Ionic framework saves a lot of time development and testing time and efforts. Because of Ionic’s various benefits, it has become a practical solution for the cross-platform mobile application development. Ionic helps to improve the User Interface(UI) and create more functional structure of the application. 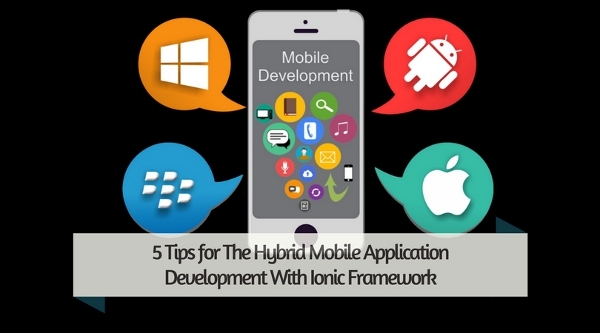 The blog post covers some tips for app developers to design powerful hybrid mobile application practicing Ionic framework for app development. Yeoman is primarily a plugin that can be used for framing either the entire application or relevant components in the mobile app. It allows the developers to deploy the mobile application prototype swiftly. Developers first have to attempt Ionic Yeoman generator which is regarded as the best suitable for the application specifications. app. It presents well-documented guidance and various methods for mobile app development. Developers can also get benefits of the online Angular style guide. The most popular ones are, style guides documented by Google developers. As Ionic, an AngularJS built framework, several recommended methods in style guide reflects Ionic implementations. Developers can easily position and update the source code as of its unique file structure. There are plenty of options available for testing the mobile application. But, the developer app of PhoneGap renders simple methods for the application deployment from the local environment to the device. Instead of replacing any app testing strategies, PhoneGap just presents a prompt way to the QA team to the mobile application testing. As Ionic framework create the hybrid apps, limited data has to be pushed than in the native apps. This facilitates the application deployment easy. The ionic framework is an outstanding solution for accelerating the mobile application development process. The most impressive thing about Ionic is that it can be easily executed with other available frameworks. 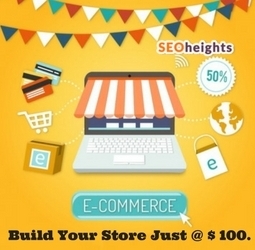 Consequently, developers do not need to feature abundant of add-ons for the simplifying the development process.